Christ is Risen. 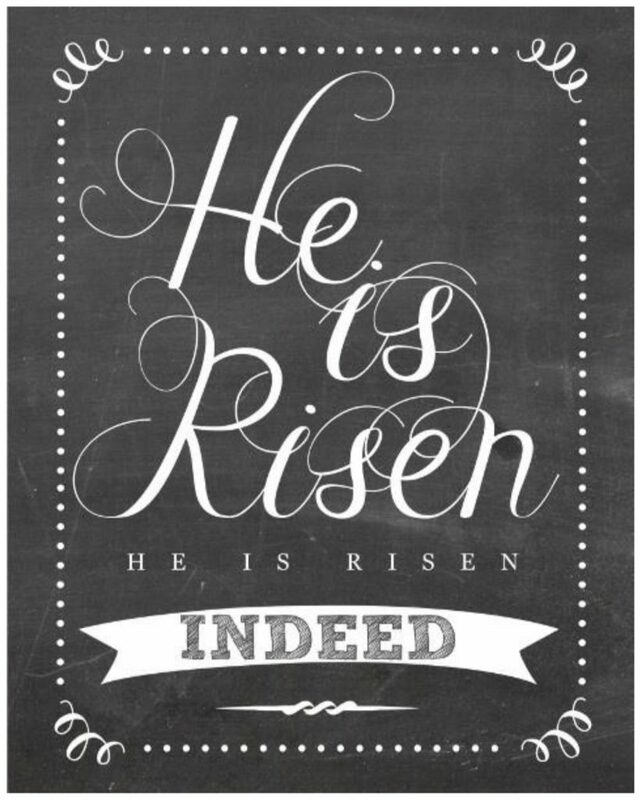 He is Risen indeed Alleluia! The Lenten fast is nearly over, the great feast of Easter approaches. Soon we will be called to be an Easter people. The question for all of us is to find ways in which we can show that we are an Easter people, a people who know and share the joy of Christ’s resurrection. Lent, Holy Week and Easter are in their own way special times for they allow us space to grow and reflect not only on Christ’s journey to the cross and resurrection but also on our own journey of faith. In our everyday lives we all encounter what could be described as mini Lents, mini Holy Weeks and mini Easters. Times when we are called to face challenges and trials just as Jesus was. Yet also times when we share in great joy. Times when such trials are put aside and we rejoice in the glory of the resurrection. We don’t have to look far to see that the world can be a troubled and difficult place, presenting us with both challenges and joys. We live in a society where belonging to a particular group, religious or otherwise, is often on the decline. A society where many are seeking some form of spiritual comfort without necessarily knowing what it is that they really want. Surely one of the tasks of the Church is to try and get alongside those who are searching and offer them a faith to engage with. To offer them hope and seek to share in that journey. One of the wonderful post resurrection stories is the ‘Road to Emmaus’. Two disciples are walking to Emmaus and are joined by another man. Initially they are unaware of who this person is. It is only when Jesus breaks bread with them that they realise who He is. Once Jesus had gone the disciples shared with one another how they felt. They then go and relate this experience to the others and the message is shared. The wonderful point of this story is that Jesus met the disciples on an ordinary walk and in the course of an ordinary meal. It reminds us that so often, it is in our ordinariness that we can encounter and share the good news of the Risen Lord. Our Lent, Holy Week and Easter experiences challenge, strengthen and enrich us. Such experiences are not ours to keep but ours to share. They are given to us so that we might share our journey of faith with others who are also searching for some meaning and purpose in their lives. The opportunities of how we can do this are presented to us all in our daily life. All that is required of us is to say ‘Yes’ to God and share in that journey. We hope to see you during our Holy Week Services and share together our journey. As we seek to share our journeys of faith and move from one season to another I wish you all a joyful and blessed Easter.